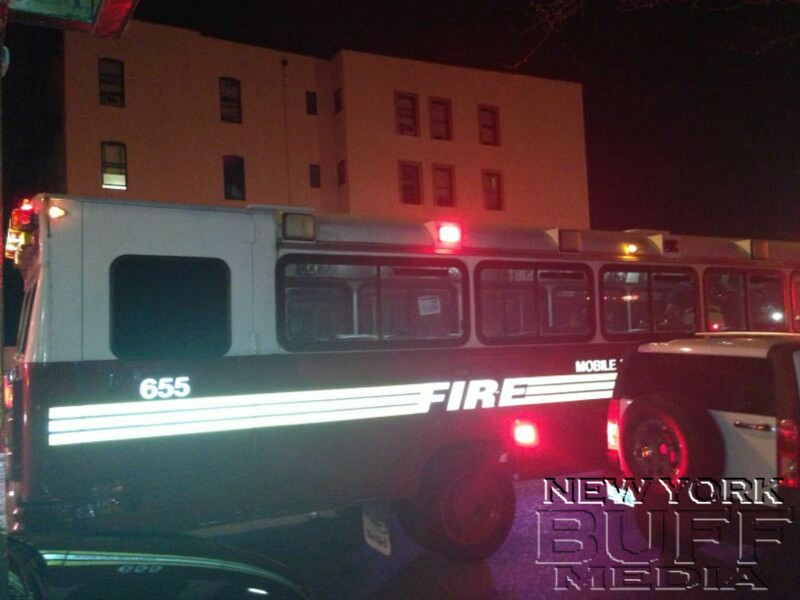 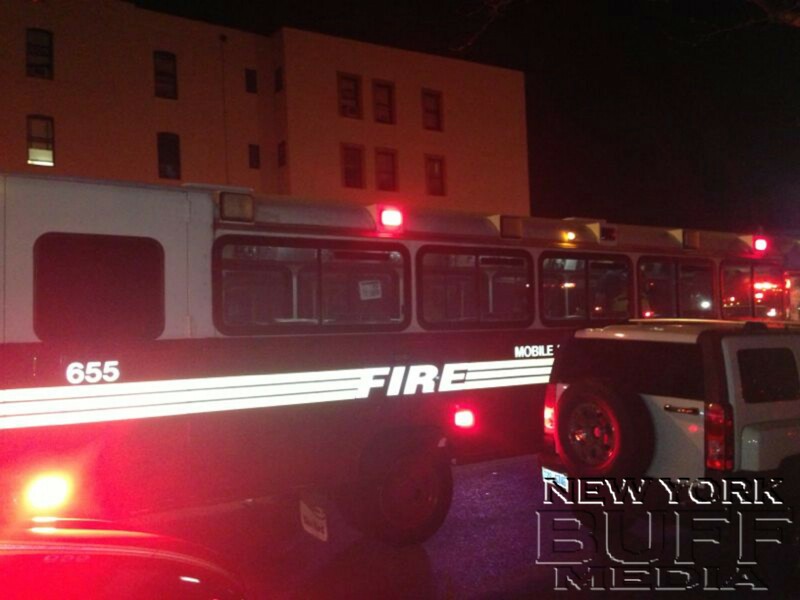 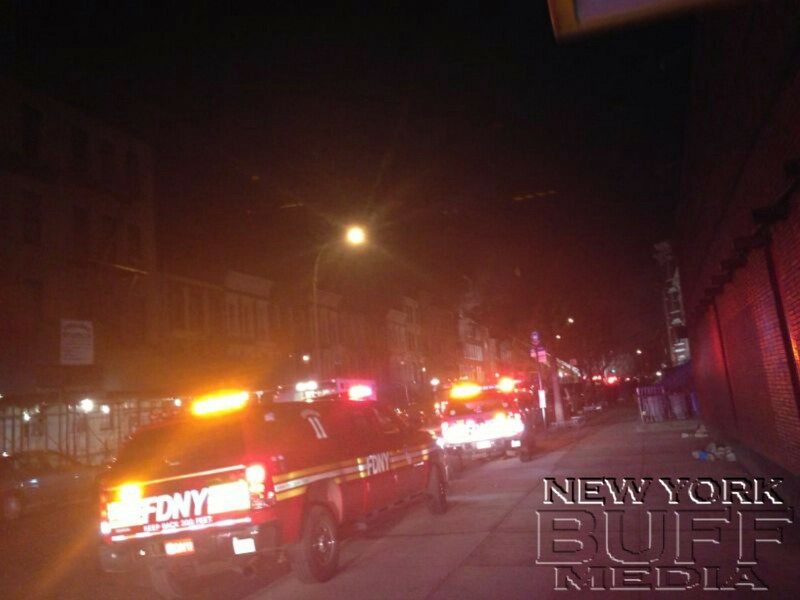 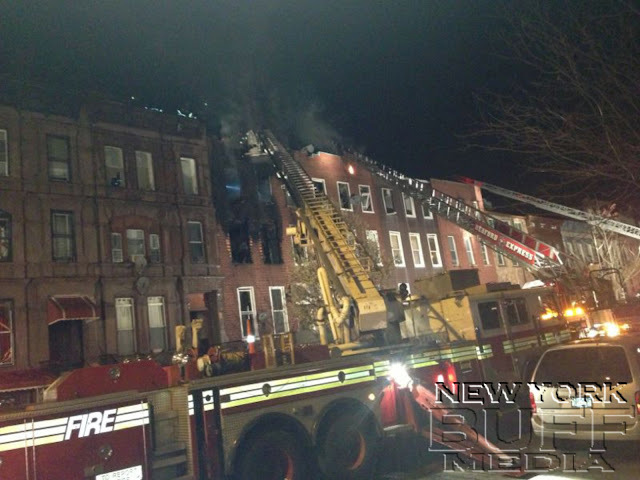 Bedford-Stuyvesant - A fire swept through a series of buildings on Lafayette Avenue early Monday morning, injuring three people, the FDNY said. 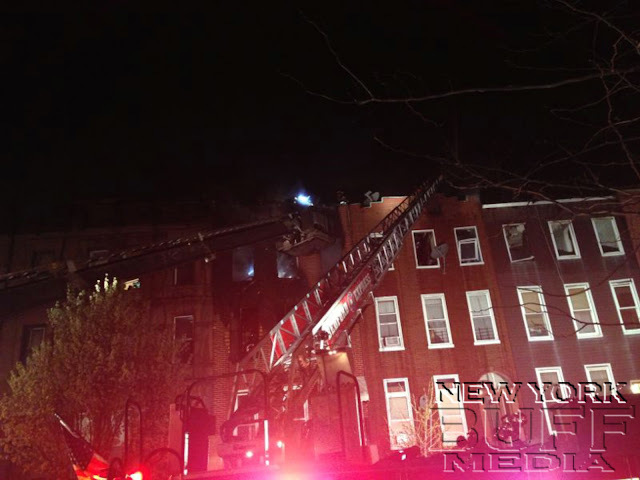 Firefighters responded to a call of the blaze at a four-story building at 857 Lafayette Ave. shortly before 2 a.m., officials said. 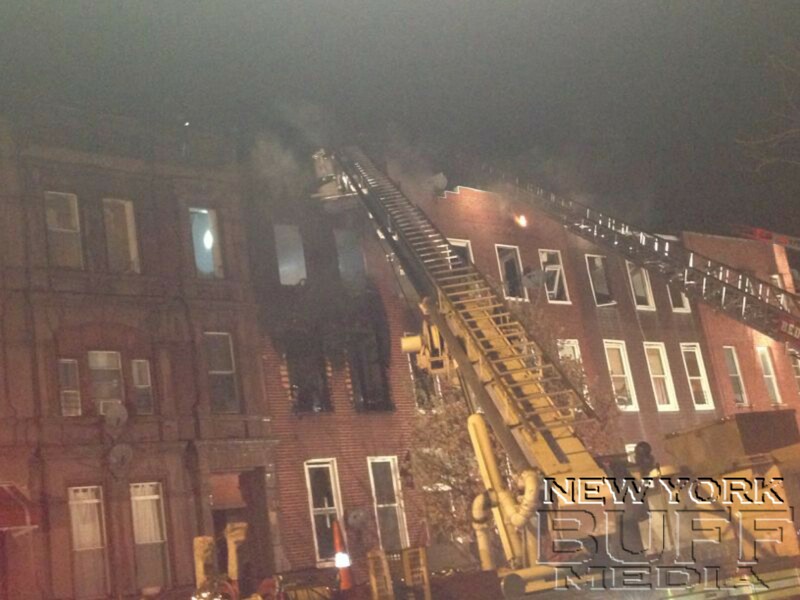 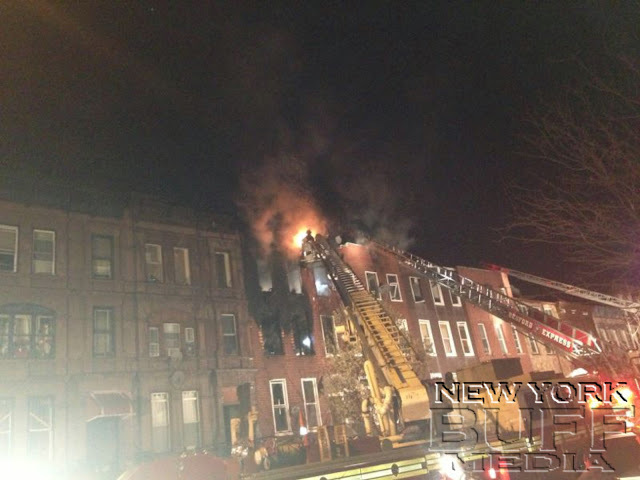 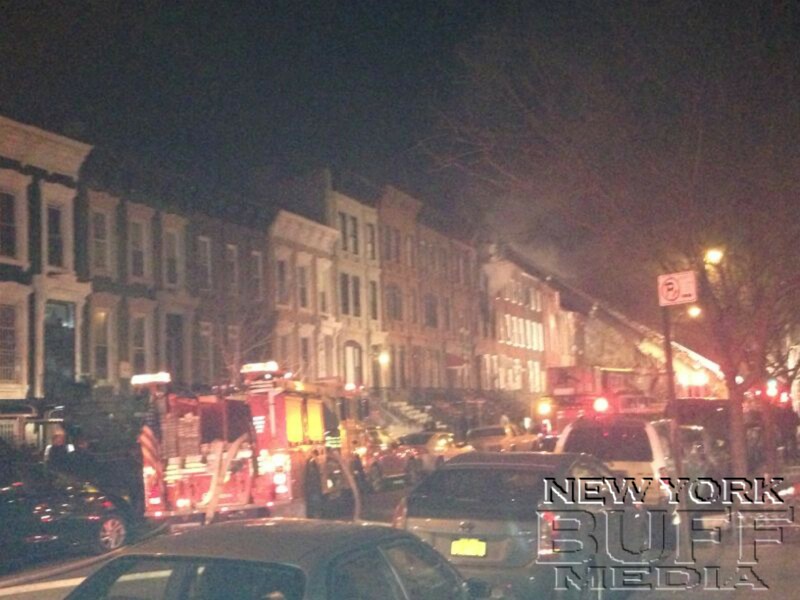 One civilian and two firefighters suffered injuries in the blaze and were taken to area hospitals, the FDNY said. 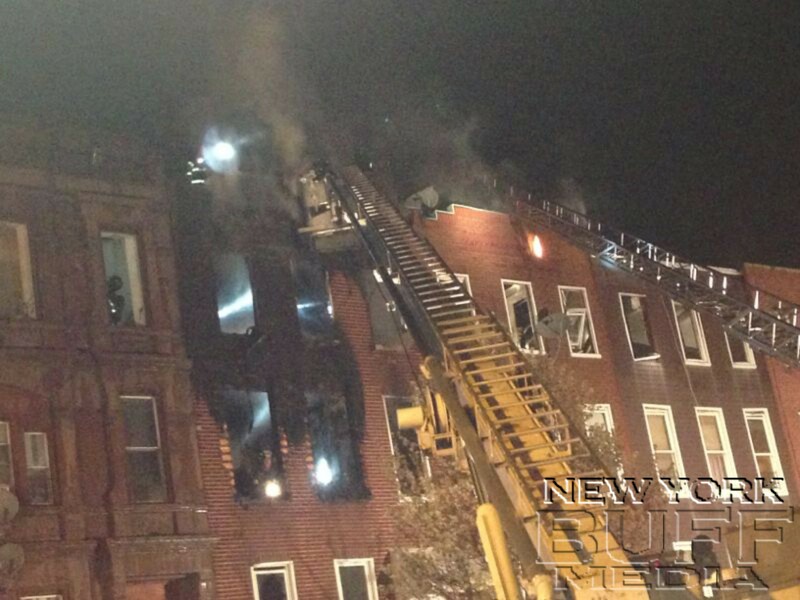 Thirty-three units and 138 firefighters responded to the call, officials added.